Direct Bimini Bay Front with 180-degree open water views. The lot is so big the seller is having it re-platted into two lots, if a buyer or investor wants to build two houses on it. 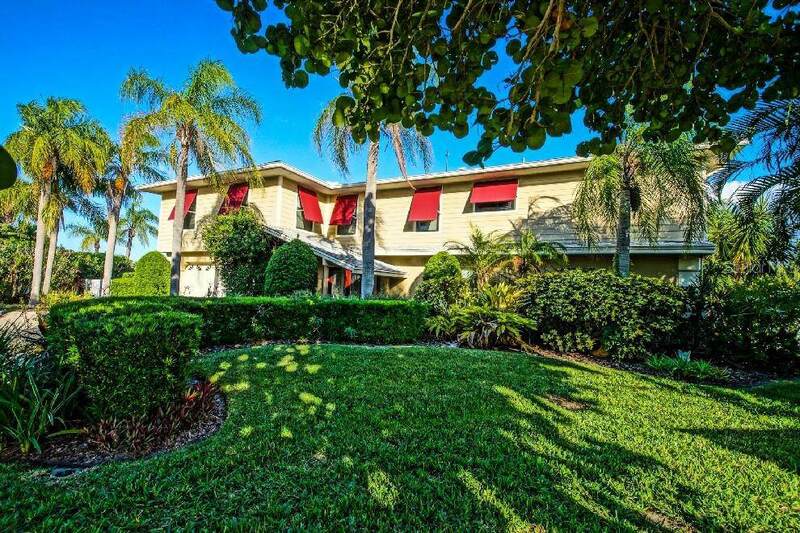 The current home is 3-4 bedrooms and 4 full baths. 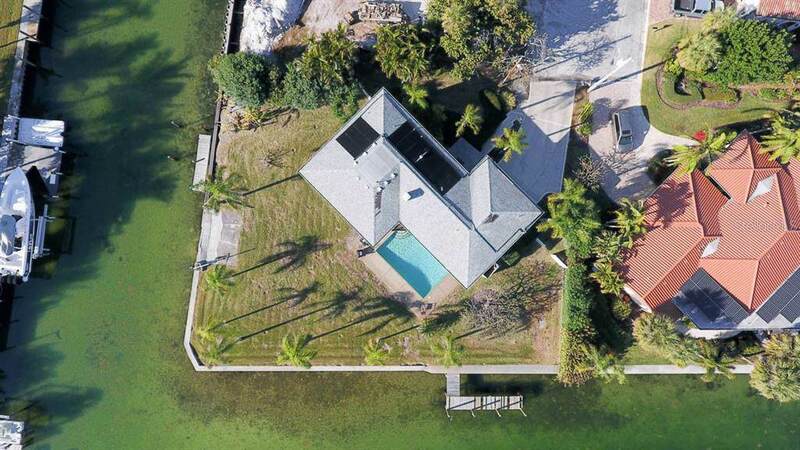 The ground level has a den or can be the 4th bedroom with full bath, kitchenette, wet bar, laundry and spacious sunroom overlooking the pool and Bimini Bay as well as a two-car garage. 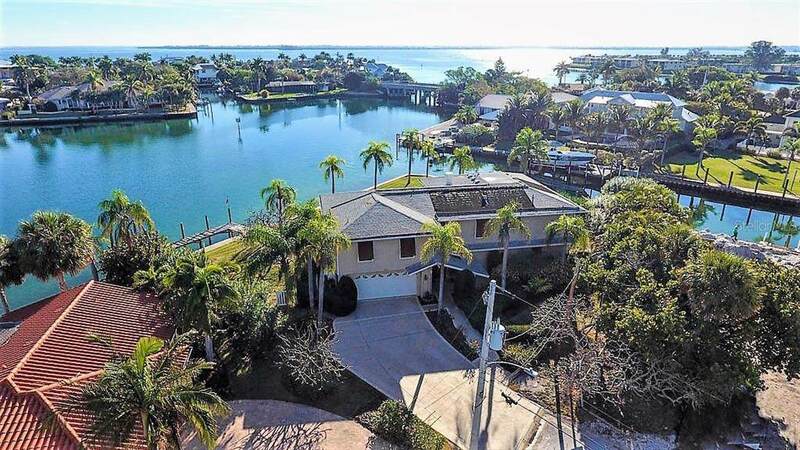 Upstairs there is a large living room, separate dining room, 3 bedrooms & 3 baths ( two of which have expansive views of the bay) and nice deck area to enjoy the Bimini Bay Views. Two docks on 256 ft. of seawall to dock your boat(s) or for fishing. BIG BOATS are welcome! Offered UNFURNISHED. Approx. 3000 square feet under air. So much potential. dont miss it - a must see!